Sightings Over Sixty: Counting on Social Security? The recent government partial shutdown made me wonder -- suppose the government stopped paying Social Security. How long could I go before I got into real financial trouble? How long before I found myself looking for supper at the food bank, and petitioning town hall for relief on my real-estate taxes? The answer is: a little while, but not for long. 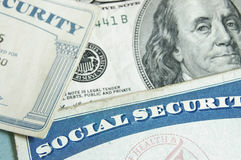 It so happened that my friend Jeremy Kisner, an investment adviser with Surevest Wealth Management in Phoenix, AZ, recently posted a piece on Social Security. He was primarily addressing younger people who are jumping to take Social Security benefits as soon as they can, at age 62, not so much because they need the money, but because they're afraid the money will run out if they wait much longer. But his analysis is also relevant to my question: Will Social Security be around for as long as I am? I was teaching a class on Taxes in Retirement and the discussion shifted to how to decide when to collect Social Security. I explained the conditions in which it makes the most sense to defer Social Security until age 70. Then one attendee asked how he should factor in the possibility of Social Security benefits getting cut if the system goes bankrupt. Just to be clear, our Social Security System will not go bankrupt. However, if no changes are made to the current system, the Social Security "trust fund," which was built up by collecting more payroll takes than paid out, will be depleted. Benefits would then need to be reduced to match the payroll taxes being collected. That will happen sometime around 2034, if we do nothing. Once the trust fund is gone, benefits would be cut to approximately 75% of their current level to keep the system solvent. The reality is this "do nothing" approach is unlikely as there is growing pressure to "fix" the system. Increase payroll taxes. This is the simplest and most effective. The current payroll tax collects 6.2% from employees and another 6.2% from employers. This would need to be increased to 7.6% to keep Social Security fully paid. This approach would take some cash out of workers' pockets, which is never popular, and will hurt economic growth. Imagine that . . . if we put more away for the future, we have less to spend today. Eliminate the cap on taxable earnings. The cap currently limits the 6.2% payroll tax to only the first $132,900 of earnings (as of 2019). We could close 71% of the Social Security funding gap if the cap was eliminated entirely. This would affect 4 - 5% of the workforce -- those who have wages above $132,900. These people may be a bit perturbed because they already have the worst return on their Social Security contributions. Raise the retirement age. This seems logical since today people live so much longer than they did in 1935 when Social Security began. Unfortunately, this solution is surprisingly ineffective. A three-year increase in the full retirement age from 67 to age 70 for people born after 1960 would only cut the funding gap by 25%. Means-testing for beneficiaries. This would mean that high-income retirees would have their benefits reduced or eliminated since presumably they don't need the benefit. Polls find this option to be unpopular with voters who simply think it is unfair. The likely scenario is some combination of these options. While Congress is figuring out all of this, I encourage you to save as much as you can. After all, the maximum Social Security you can collect at full retirement age in 2019 is $2,861 per month. It is 32% higher ($3,770) if you wait until age 70. I'm guessing most people want to spend more than this. How do you plan Social Security claiming decisions with this uncertainty. So back to the original question. How do I factor in a potential cut to Social Security benefits when deciding whether to collect early (62), at full retirement age (66-67), or wait until 70? This is just like trying to make decisions based on what future tax rates might be. Nobody knows. Remember, most experts thought future tax rates would be increased, due to deficits, right up until they were cut in 2017. Personally, I assume that rules and rates will continue at current levels until I have real information to the contrary. The likely scenario is that Social Security will be preserved and benefits will not be cut. I would plan on that. However, if you believe Social Security is going to be cut in the future, then the logical decision is to collect early, instead of deferring to age 70. I wish I could provide more clarity, but for that we are -- yikes! -- dependent on the U. S. Congress. If you want more of Kisner's wisdom you can catch up on his latest at jeremykisner.com. Meanwhile, if we can believe Kisner's conclusions, we don't have to worry about Social Security. We'll get our benefits. But . . . I'm guessing our kids are still a little worried. I will be working until at least 70. I am getting a spousal benefit now, which isn't much, but the amount I will get at 70 would be enough to squeak by should it end up being the only thing I have. I will also have to move to keep life more affordable. I'm pretty sure a way will be found to maintain Social Security. Personally, I think removing the earnings cap would be optimal. People are living so much longer now, that it makes sense to raise the retirement age, by at least a couple of years. I worried a lot about whether or not I would have enough money once I retired, but a few years later, I'm happy to say that ends do meet, and life is good. I am concerned about the financial well-being of our children and grandchildren, though. Raising the minimum retirement age works for people who have less physical jobs, but imagine telling someone who works in construction or on road crews that they are going to have to do that work until 70 and I just don't see it happening. Far easier for someone with an office job to work until 70 than a construction worker. But then an office worker has their own landmines to step around when most corporations are looking to get younger workers at cheaper pay. Increase the taxes, eliminate the cap are the ways I support. It just makes. What also makes me crazy is when people refer to SS as an entitlement. NO! We paid into it! Important information to consider. I get very little from Social Security because I paid into a state retirement system. I worry all the time about what would happen if it went away. I hate the idea of raising the retirement age. Maybe it's not like this for all jobs, but I worked in a Fortune 100 company, and they want you body and soul. There's no such thing as a real vacation or even a real weekend anymore. I feel incredibly lucky to have escaped the madness at age 62. However, I am holding off on SS as long as possible. Full retirement age, at a minimum. Boomers Are Older, but Are They Wiser?